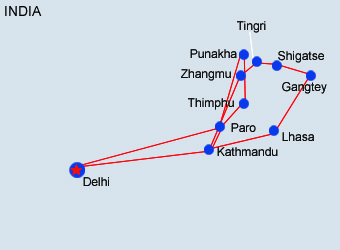 Day 2: Delhi -Paro flight / Paro-Thimphu drive- 54 km/2 hours Transfer to airport for flight to Paro. Day 4: Drive to Punakha and Afternoon visit Punakha Dzong. Day 7: Transfer to the airport for flight to Kathmandu. Day 8: Morning city sightseeing tour Kathmandu. Day 9: Morning visit Pashupatinath and Bodhnath. Day 10: Day at leisure. Day 11: Transfer to hotel upon arrival in Lhasa (11,650ft), Overnight at hotel. Day 12: Sightseeing of Drepung, Jokhang & Barkhor Bazar, Overnight at hotel Lhasa, Lhasa. Day 15: Morning drive to Shigatse,Overnight at hotel Shigatse. Day 18: Morning drive to Kodari border. After Chinese and Nepalse immigration formalities, drive to Kathmandu. Overnight at the hotel. Day 19: Morning at leisure. Transfer to airport for flight to Delhi (1600-1715 hours) On arrival, connect onward flight. Assistance and transfer to hotel near airport. 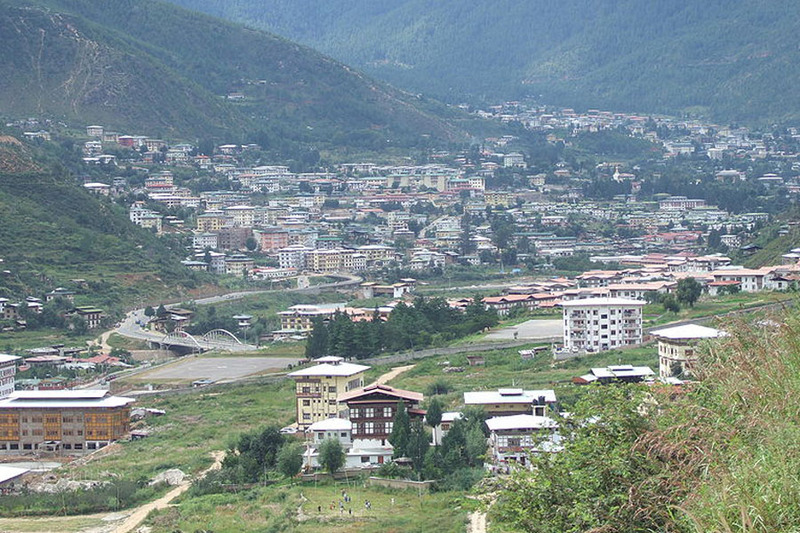 Day 02 - Delhi -Paro flight / Paro-Thimphu drive- 54 km/2 hours Transfer to airport for flight to Paro. Meeting and assistance on arrival and drive to Thimphu, the capital town passing via idyllic countryside, through villages and paddy fields, Enroute visit the Simtokha Dzong, the oldest fortress of the country now houses the School for Bhutan studies. Fulll day sightseeing of Thimphu valley, visiting Taschihhodzong; the seat of the Government, Memorial Chorten, the Stupa built in the memory of Bhutan's third King and Handicrafts Emporium displaying rich traditional crafts of the Kingdom, National Library which has fascinating collection of ancient Buddhist manuscripts and texts, the Painting School: famous for traditional thankhas paintings and traditional Medicine Institute where centuries old healing arts still practiced. After early breakfast proceed to Dochula pass (3050 M) which provides a superb view of the highest peaks of Bhutan, such as Gangkar, Puensum, table Mountain, Masakhang etc. Arrive Punakha and check-in at the hotel. Punakha until 1955, served as the capital town of Bhutan and still it is the winter seat of Je Khenpo, the Chief Abbot. Punakha Dzong built by Shabdrung Ngawang, Namgyal in 17th century and situated at the junction of Pho Chu and Mo Chu rivers. After breakfast proceed to Paro enroute visit traditional Bhutanese Farm House. Arrive Paro and check-in at the hotel for dinner and overnight. After breakfast, drive to Drukgyel Dzong, a ruined fortress where Bhutanese warriors fought Tibetan invaders centuries ago. The snowy dome of sacred Chomolhari, "mountain of goddess" looms directly over the dzong. 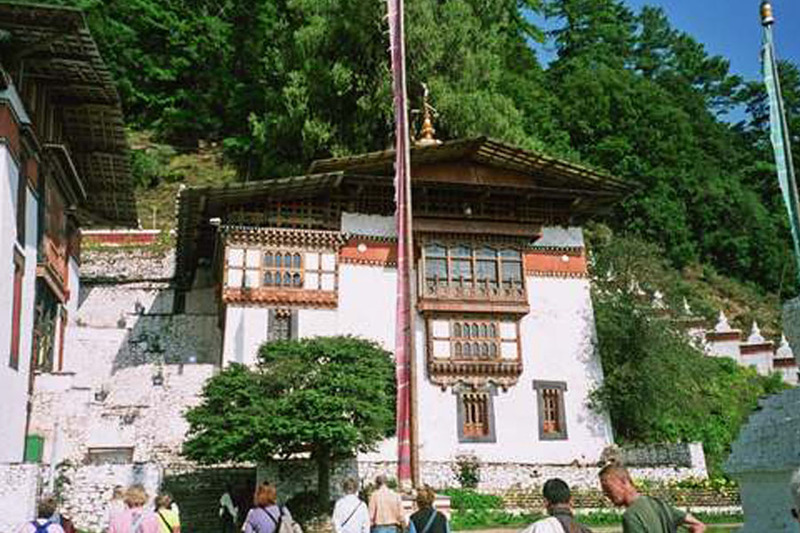 Along the way, see the 7th century Kyichu Lhakhang, one of the 108 temples built by Tibetan King Songtsen Gampo. After lunch visit Ta Dzong, originally built as watch tower, now houses National Museum of the Kingdom. It boasts antique thankhas, textile, weapons and armou, household objects and a rich assortment of natural and historic artifacts. Then walk down the train to visit Rinpung Dzong, meaning 'fortress of the heap of jewels" which has a long and fascinating history. Along the wooden galleries lining the courtyard of the Rinpung Dzong are fine wall paintings. Transfer to the airport for flight to Kathmandu. Machhendra Nath Temple, a two tiered bronze roof pagoda, Hanuman Dhoka - the historic seat of Royalty, Durbar Square which houses Teleju temple built in 1549 AD, figure of Kal Bhairav - God of Destruction, statue of King Pratap Malla, Temple House of Kumari - the residence of living Goddess. The buildings housing Virgin Goddess has profusely carved wooden balconies from where they acknowledge greetings of her devotees. The National Museum houses a splendid collection of weapons, as well as an outstanding collection of artifacts from ancient, medieval and modern Nepal. 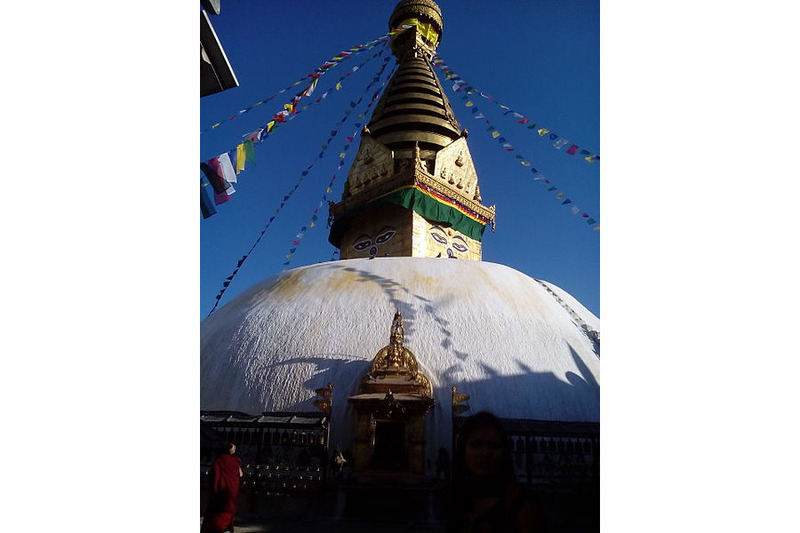 Afternoon visit Patan and Swayambhunath. Boudhnath - the colossal Stupa, one of the biggest in the world, has the all seeing eyes f the Buddha. The shrine is ringed by houses of Goddess Mani Jogni. 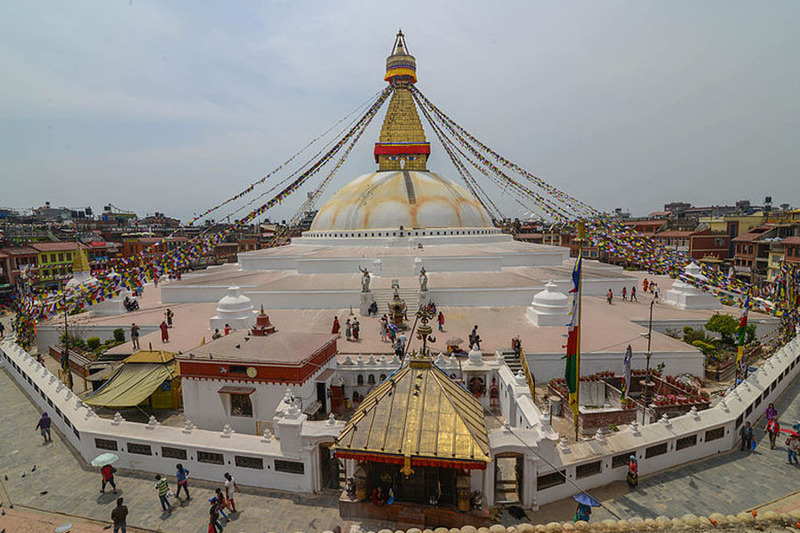 It is built on an octagonal base inset with prayer wheels and is situated 8 kms east of Kathmandu . Transfer to hotel upon arrival in Lhasa (11,650ft). Rest of the afternoon free for acclimatization. Sightseeing of Drepung, Jokhang & Barkhor Bazar. Drepung Monastery situated to the west of Lhasa city was founded in 1416 AD by one of the disciples of Tsong Khapa. It was the largest and richest of the three major yellow sect monasteries in Lhasa. Jokhang Temple was built in 647 AD and is the spiritual center of Tibet and the holiest destination of Tibetan Buddhist Pilgrims. 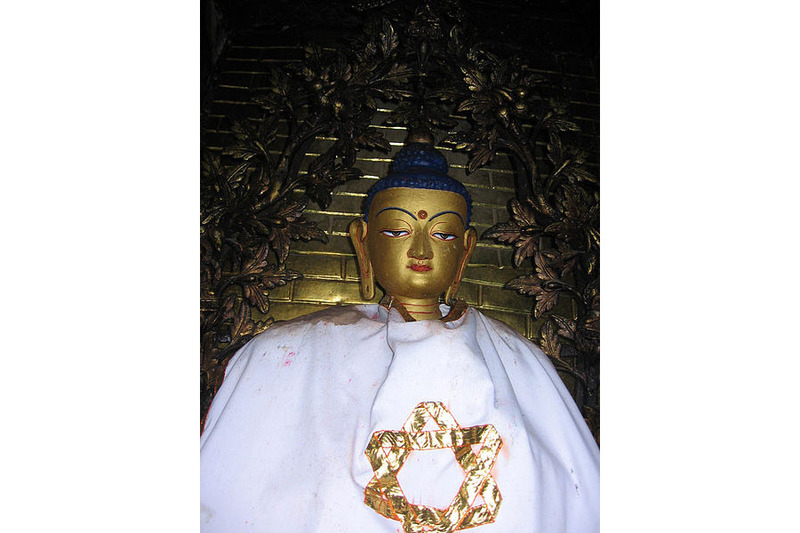 It houses the sitting statue of Sakyamuni when he was 12 years old. Barkhor Bazaar is the earliest street of old Lhasa City circling the Jokhang temple. Overnight at hotel Lhasa, Lhasa. Sightseeing of Potala Palace, Sera Monastery & Norbulinga. Potala Palace located on the red hill was built in 640 AD during the reign of Songtsan Gampo. The original Potala was destroyed in the 9th century but was rebuilt in the 17th century during the reign of the 5th Dalai Lama.Sera means Hail stone in Tibetan. Set on the foot of the Wudu Hill to the north of Lhasa City, Sera comprises of a great Sutra chanting hall and a college.Norbulinga is located on the banks of Kychi River. There is a tree and flower filled park known as Norbulinga 'Jewel Park' covering a total area of 360000 square meter. Norbulinga is also the site of the summer palace of the Dalai Lamas (8th to 14th ). Overnight at hotel Lhasa, Lhasa. Morning drive to Gyantse via Yamdrop Tso. Sightseeing of Kumbum Stupa & Phalkor Monastery in Gyantse. Gyantse (13,050 ft.) is a small agricultural town famous for its wool carpets and the Palkhor Choide Chorten. Amongst the ruins of the lamasery and the fort, this unique structure built in 1414 AD consist of five stories representing the five steps to enlightenment, topped by thirteen rings which symbolizes the stages of advancement towards buddhahood. There are 108 halls inside, each with frescoes and Buddha shrines. The frescoes show a strong Indian influence. Before 1959, traders coming from India used to enter Tibet through Yadong and then to Gyantse, enroute to Lhasa. Morning drive to Shigatse, check-in at the hotel. Afternoon visit Tashilunpo Monastery which is the seat of the Panchen Lama, who is regarded as the reincarnation of the Buddha of Endless Enlightenment. Items of interest inside this monastery built in 1447 AD by the first Dalai Lama are : the relics of Sakyamuni, the hall of Maitreya, and a huge collection of thankas, frescoes and statues. Morning drive to Tingri, town close to Xegar. 'Xegar (13,800 ft) It is a new Chinese commune built at the foot of the ruins of Xegar Dzong and is 7 km from the main road. With a population of 3000, its importance lies in the fact that it is the centre of this large and remote country and also because it is the base from where expeditions to Mt. Everest and other peaks are launched. Overnight at the hotel. Zhangmu (7000 ft) better known by its Tibetan name, Khasa, is a small settlement clinging to a hill side 10 km inland from the friendship bridge across the Bhotekosi. the climate is quite different from the interland. The hills around Zhangmu are heavily wooded with innumerable waterfalls in the summer and frozen 'icicles' during the winter. Morning drive to Kodari border. After Chinese and Nepalse immigration formalities, drive to Kathmandu.